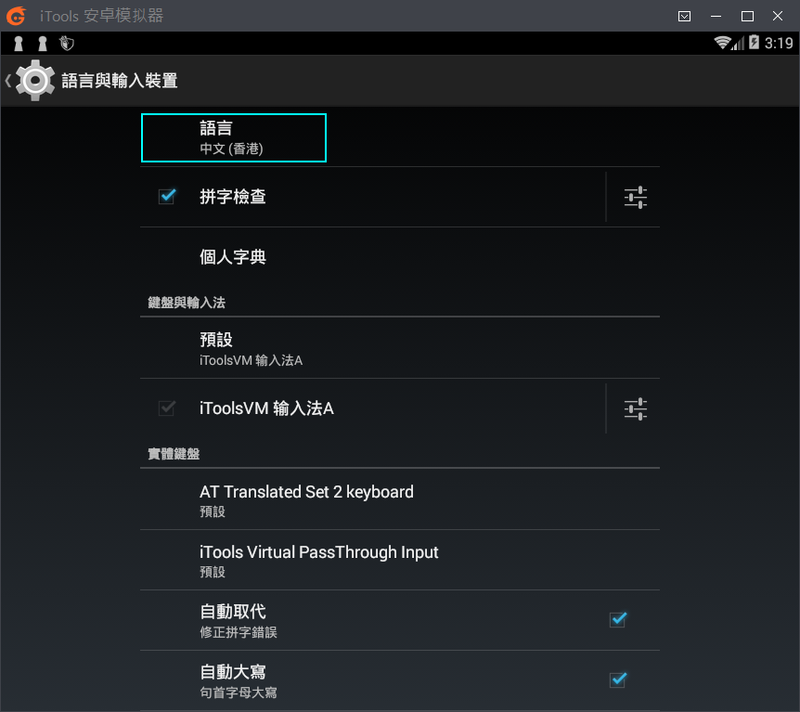 starting with MyBot.run 6.3 beta8 Android Emulator iTools AVM is supported. 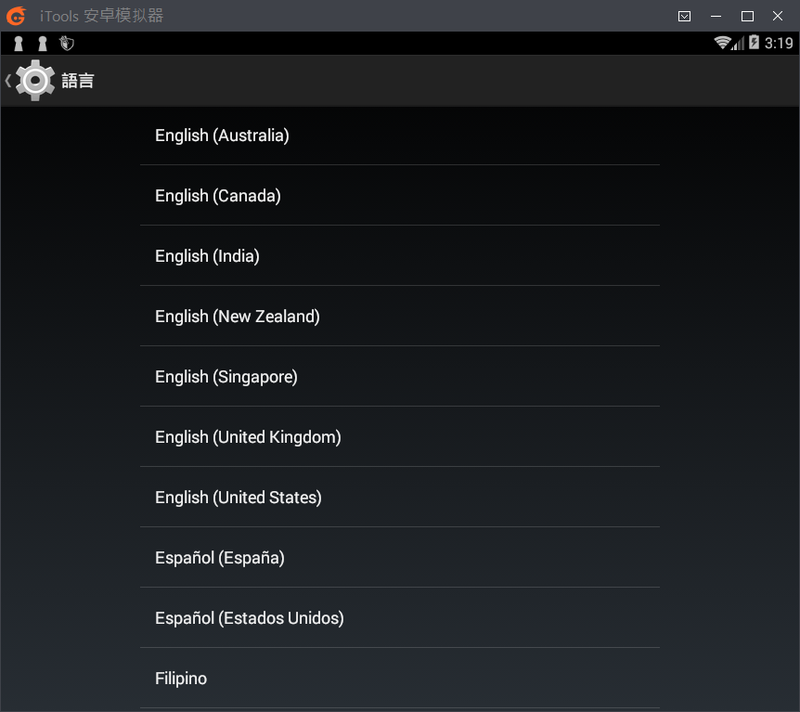 Though it only supports Chinese, it's fastest and uses least RAM of all emulators I've tested so far. DirectX mode must be used for bot background mode support (hidden under 3rd settings option and click right button button to save ). Use this itoolsavm.cfg and DirectX and 860x732 is already set (usually located here C:\ProgramData\ThinkSky\iToolsAVM\itoolsavm.cfg). Unfortunately there is a beta8 bug (fixed for next release) that doesn't create iTools shared folder probably. 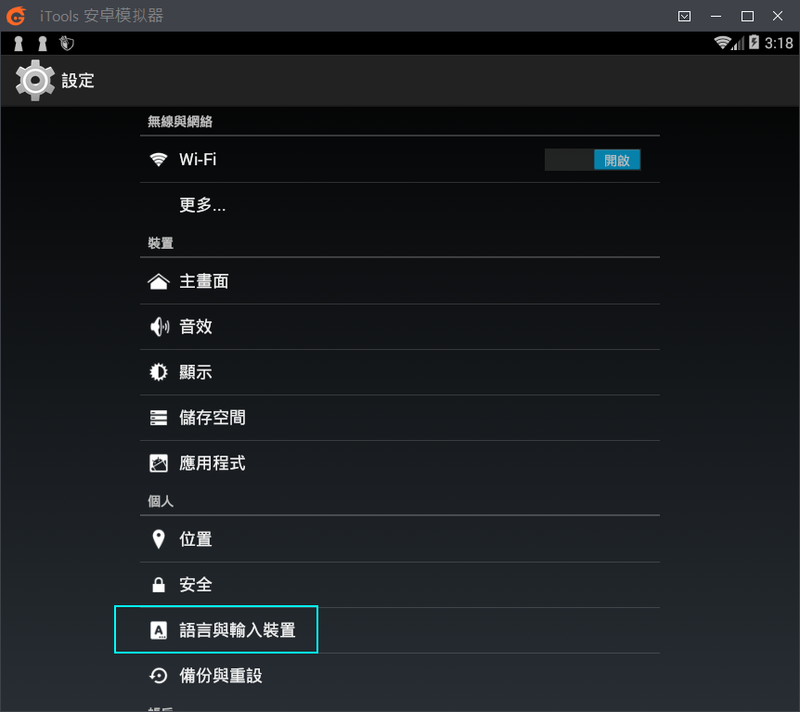 Though Android is set to Chinese and changing Android language option is not persistent after reboot, you can change it with VBoxManage and make the vbox readonly. 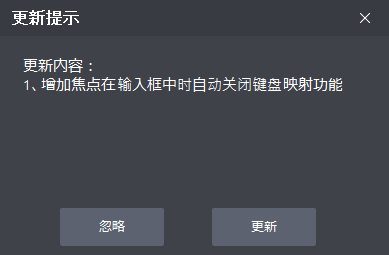 I've notices when launching the instance with the multi-launch tool (where you can create multiple instances), very often the language is still in Chinese. If so you my batch file below and let the bot launch the instance! First parameter is the VirtualBox guest name of the instance and optionally you can specify a 2nd parameter number 0-9 to reset all forwarding ports. To patch the first instance, you simple call the batch (keep in mind you need to run with Administrator / elevated rights). To patch the second instance, call iTools_config.bat iToolsVM_01 1, the third instance iTools_config.bat iToolsVM_02 2 and so on. You must run the batch file as Administrator! To enable DirectX mode for iTools in VMWare you just need to replace the C:\ProgramData\ThinkSky\iToolsAVM\itoolsavm.cfg with a version that has DirectX configured. Known issues/bugs: Background mode only supported when iTools running in DirectX mode. Having Problem choosing which emulator to use? Read this thread: What is best emulator? iTools_config.bat updated to fix language settings by copying vbox file also to a temp name. iTools_config.bat batch file updated with fix for non English Windows and fix for shared folder. iTools_config.bat batch file updated with automatic admin elevation and fix for shared folder. iTools_config.bat batch file updated with fix of removing readonly and hidden attribute of instance file and adding also picture shared folder by default. Memory is set to 512 MB, 1 CPU at 100% (can be also used as 3rd parameter). iTools_config.bat batch file updated with more options and CPU is set to 1, 100% and checked readonly to security tampering rather r/s attributes. You must run the batch file as Administrator now! iTools_config.bat batch file added to configure language and optionally all forwarded ports (WARNING!!! It's a zippyshare download link, be aware of those stupid popups!!!). @cosote Sensei link Offline installer download: http://serv2_avm.itools.hk/dlavm?p=28&c=thinksky_ova is broken. Please rectify. Does it work on VMvare? sad.. i know it.. now all chinese creating clones emulator.. Bluestack still best for my opinion. Interesting. The Commit RAM for the headless VBox is slightly higher than the MEmu one but the iTools application is significantly lower than the MEmu one and MEmu has already proven to work better overall than Blustacks so I'm fairly impressed @cosote with this find. I'm taking screenshots as I go. Would love to find someone who can read the Chinese. The Google translations are horrible.